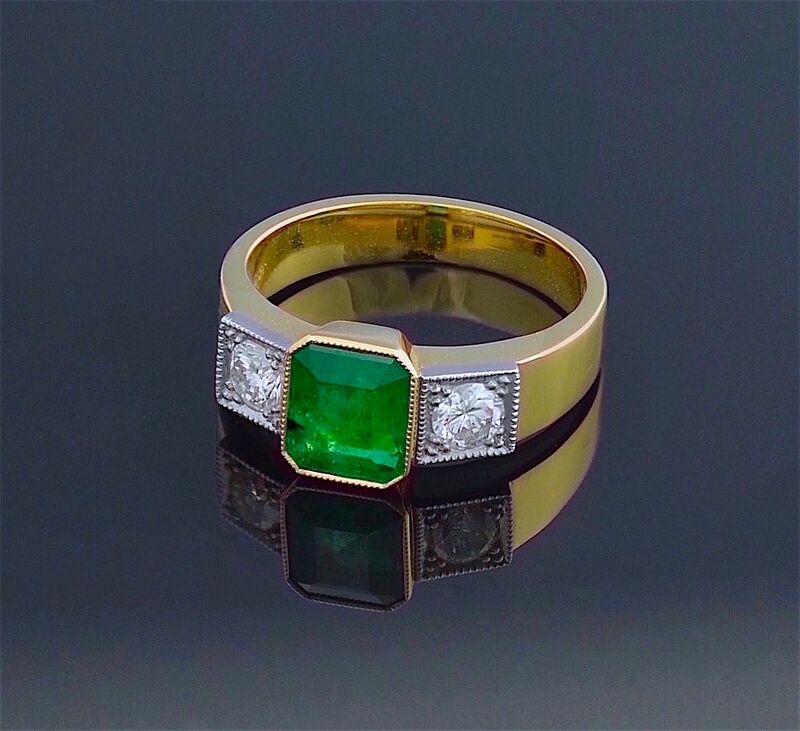 This lovely elegant ring has been handmade to Alan's design in 18ct yellow gold and platinum. 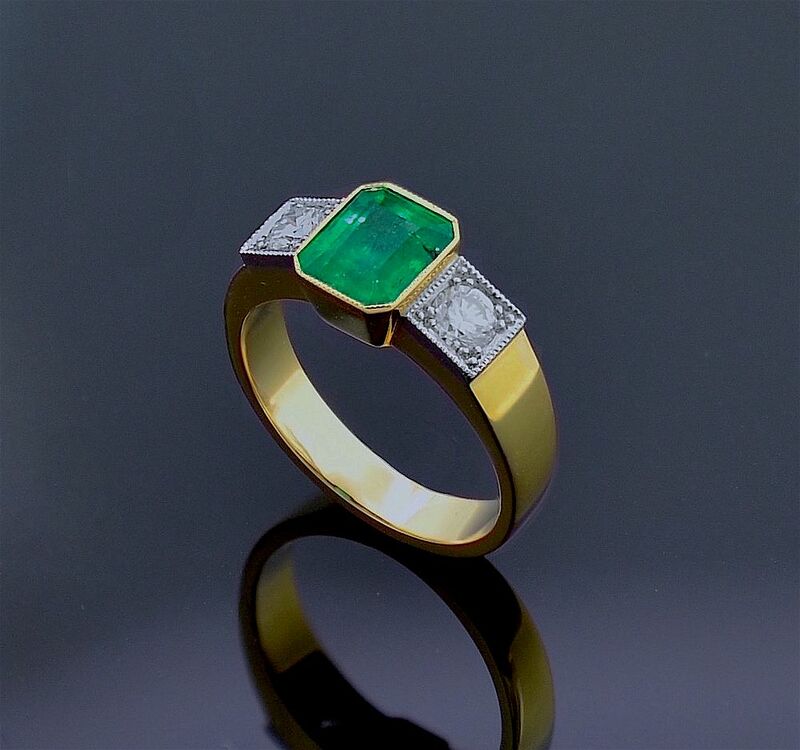 In the centre of the ring is a fine green emerald in a mille-grained 18ct yellow gold rubover setting flanked by a round diamond bead claw set in a platinum mille-grained box setting above an 18ct yellow gold tapering shank. The shank is hallmarked by the London Assay Office for 18ct gold & platinum, 2015 and bears the sponsor's mark "A&SP" for Alan & Sue Poultney. Alan cut the emerald from the rough material.